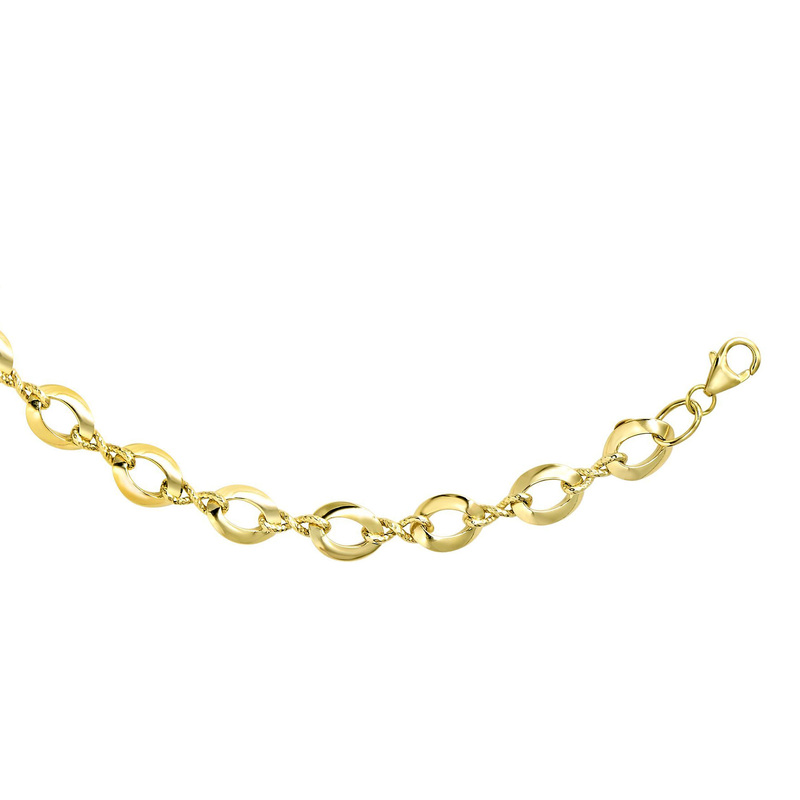 ›14k Yellow Gold Diamond Cut Infinity Link Womens Necklace, 18"
This 14k yellow gold infinity link necklace offers a classic look. The width of the links is at 8mm and the necklaces length is 18 inches. The necklaces includes a lobster clasp to uphold strength and comfort and weights a total of 8 grams. Similar bracelet for a set look is also available.